I hosted food night at my house this evening. Turnout was a bit sparse, but we knew that it would be ahead of time, so we just decided to make hand foods/finger foods. As always, everything was delicious. We ate pretty quickly, so I have some pictures of my food that I took previously, and then a couple quick shots that I took after-the-fact. 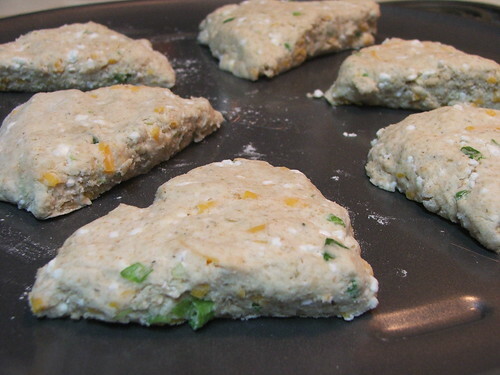 I decided to try making savory scones. 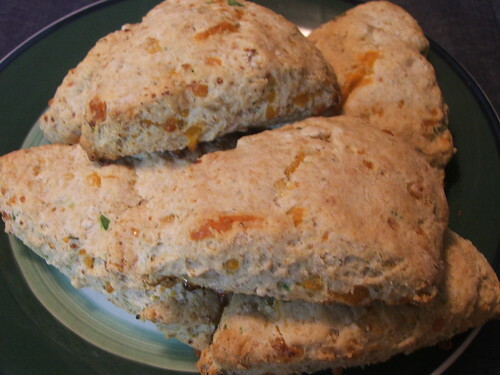 I had never made scones of any type before, but this recipe really caught my eye, so I tried it out. I didn’t use fresh dill because I couldn’t find any (I used some dried dill weed), but I otherwise stuck pretty close to the recipe. 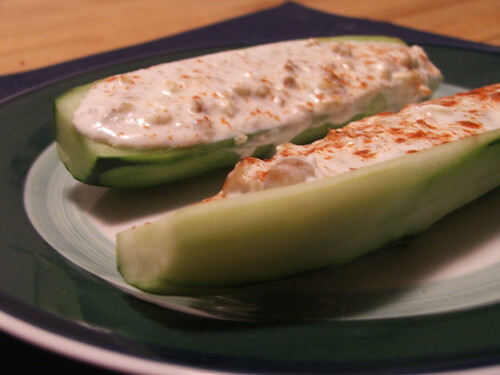 Brandon brought cucumbers stuffed with cheese, sour cream, walnuts, and paprika. Crisp, refreshing, and delicious. Drew brought a few things: some lemon curd from a previous dinner party, fruit skewers, and polenta. The texture of the polenta was fantastic. I think he said it was from local yellow and green corn that had been milled nearby. Yum! 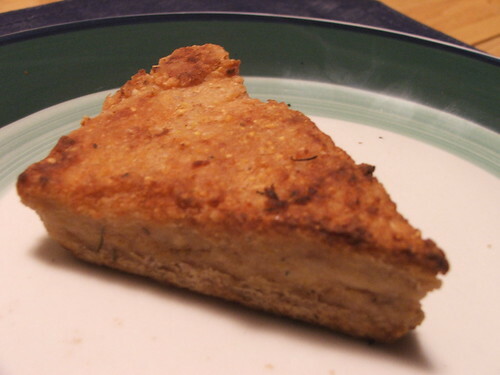 After eating, we watched Hot Fuzz, which is always awesome! Overall an enjoyable night.